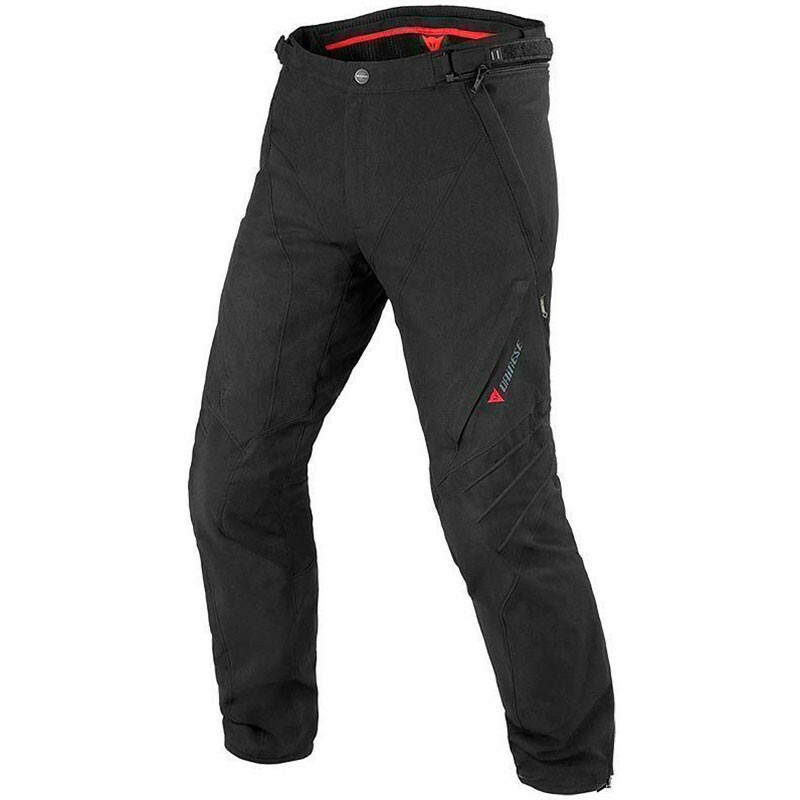 The Italian motorcycle clothes manufacturer Dainese presents you his textil moto winter man waterproof pants the Travelguard Gore-Tex. Travelguard trousers offer good versatility thanks to the waterproof and breathable GORE-TEX® membrane, removable thermal lining and vents along the thighs, which will amaze you for the excellent freedom of movement guaranteed by the elastic Mugello fabric insets and patented Microelastic intersections on the knees. 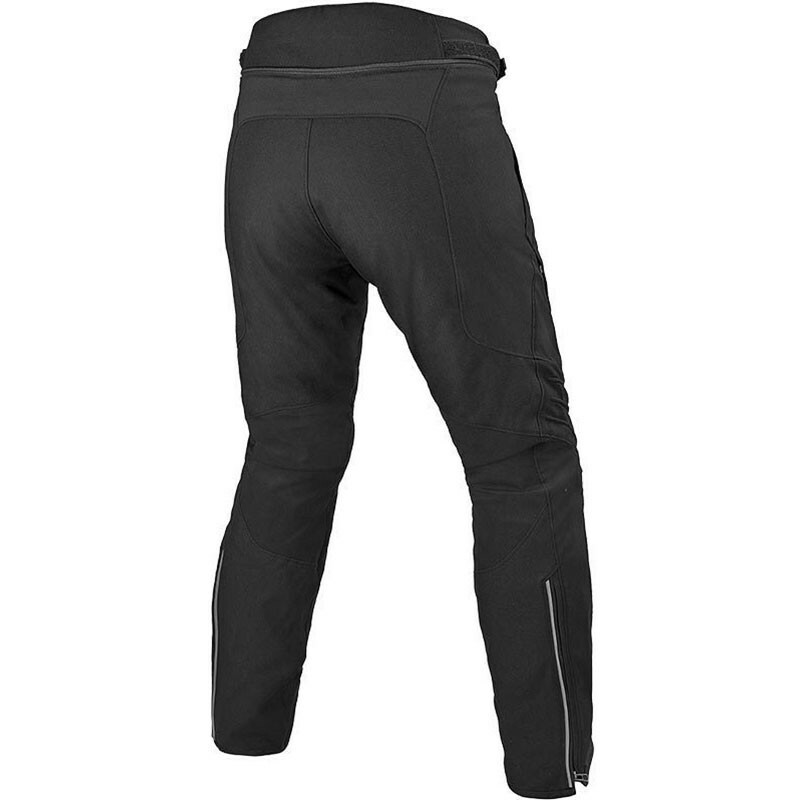 Equipped with height-adjustable rigid protectors on the knees, as well as the exceptional soft Pro-Shape guards on the sides, built in an innovative material able to adapt perfectly to the body and offering an energy absorption ratio of impacts/weight far better than any competitor, these pants are also available in Lady version and are combined to Carve Master, Ice Evo and Zima Lady jackets.